Yesterday (Wednesday 27 March 2019), Harbour Residential Care Centre proudly unveiled its refurbished diner. 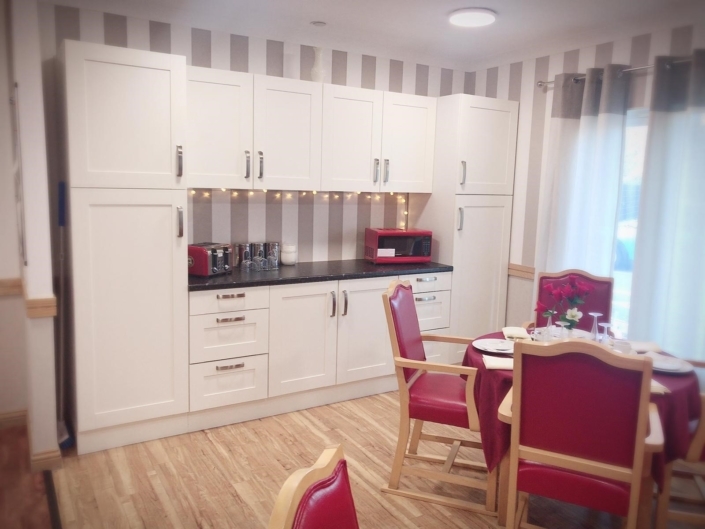 Situated on the home’s ground floor, this new and improved site will be a hub of activity and communication for residents and their families to benefit from. 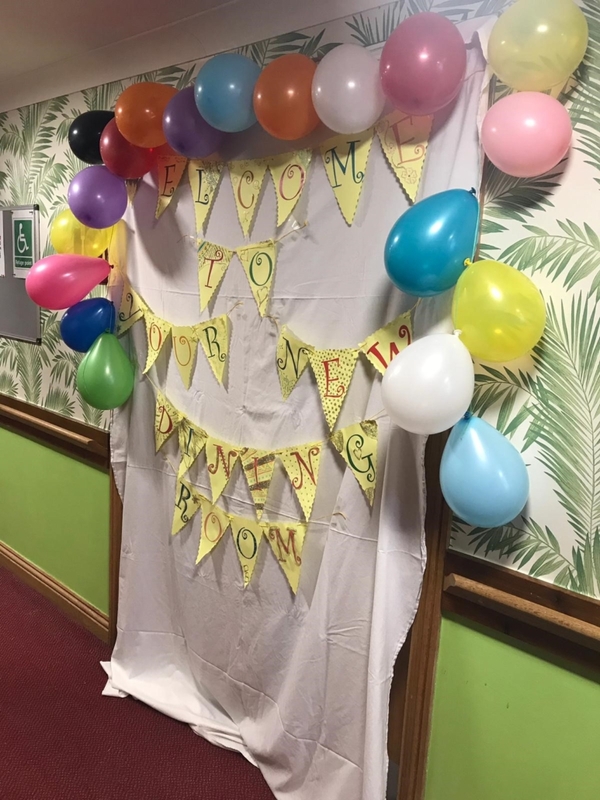 The renovations include a dementia-friendly colour scheme, which extends to the furniture and crockery, a breakfast and snack bar, a sound system and a new kitchenette. 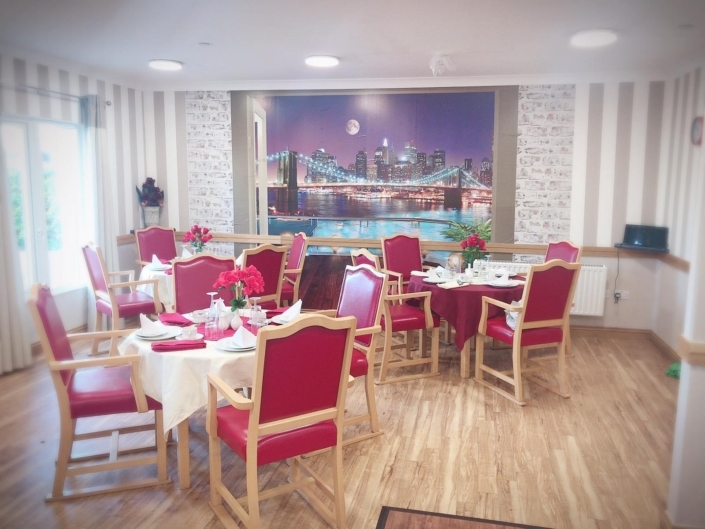 The underlying aim of implementing these changes was to provide the home with a restaurant model, as well as to encourage and promote residents’ independence in a safe and enjoyable manner. 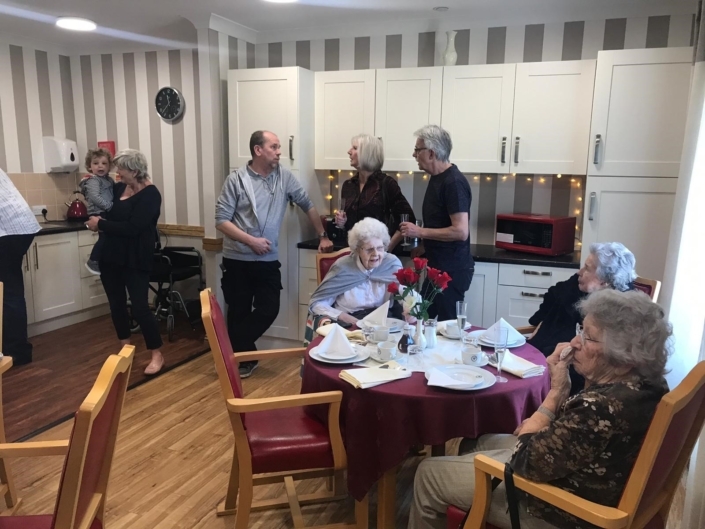 Residents and their relatives were present to witness the diner’s launch, with resident Thelma Higgins cutting the ribbon to mark its opening and invite her fellow residents into the room. Following the ceremony, residents were treated to their first meal in the new facility and their family members enjoyed a light buffet. The new diner is a co-creation between designers, Harbour Residential staff and residents. 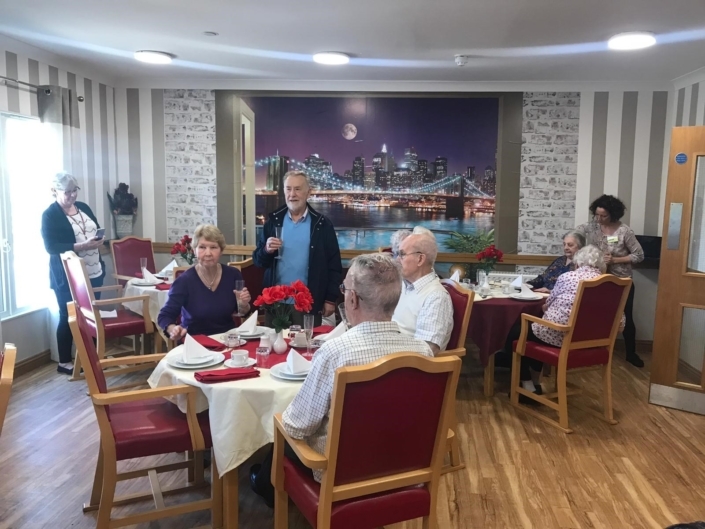 The residents were involved in helping to shape the new dining area and their opinions were sought on the plans and designs before work commenced. Close to Portishead’s picturesque harbour and a stone’s throw from the Bristol Channel, Harbour Residential is a 108 bedroom home committed to providing the highest standards of care. Harbour Residential is one of four homes run by Hudson Healthcare. All its homes are purpose-built and designed with the wellbeing of residents in mind.